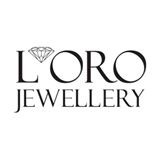 L'Oro Jewellery is uncompromising with a keen eye for detail in quality jewellery. Discover top products from leading brands in timepieces, jewellery, gifts, and accessories. Visit L'Oro Jewellery today at Markham, Ontario's favourite place to shop, CF Markville.